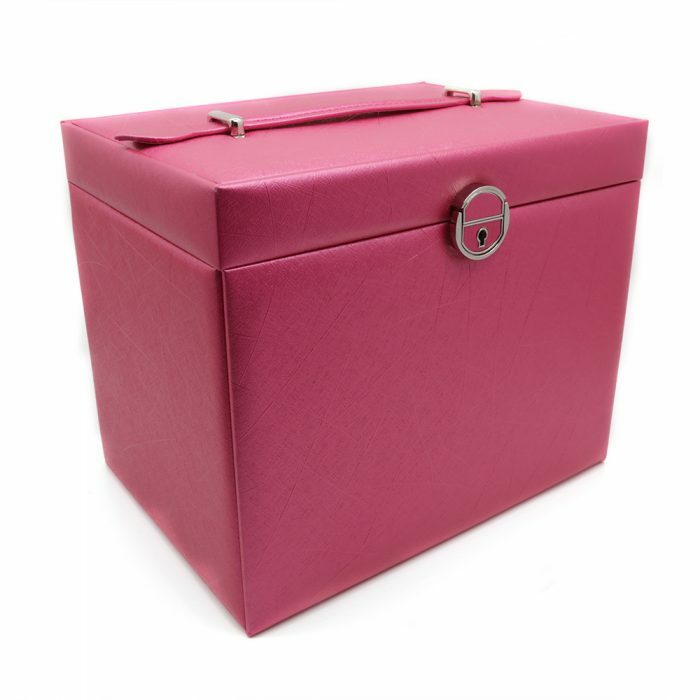 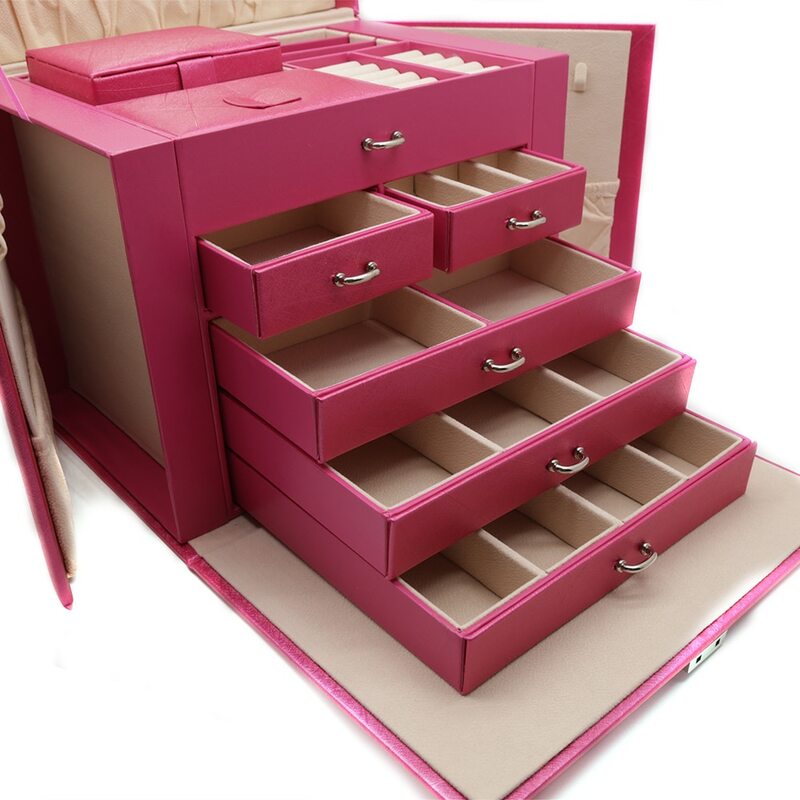 This Large Luxury Rose Jewellery Box is a highly complex yet practical jewellery box. 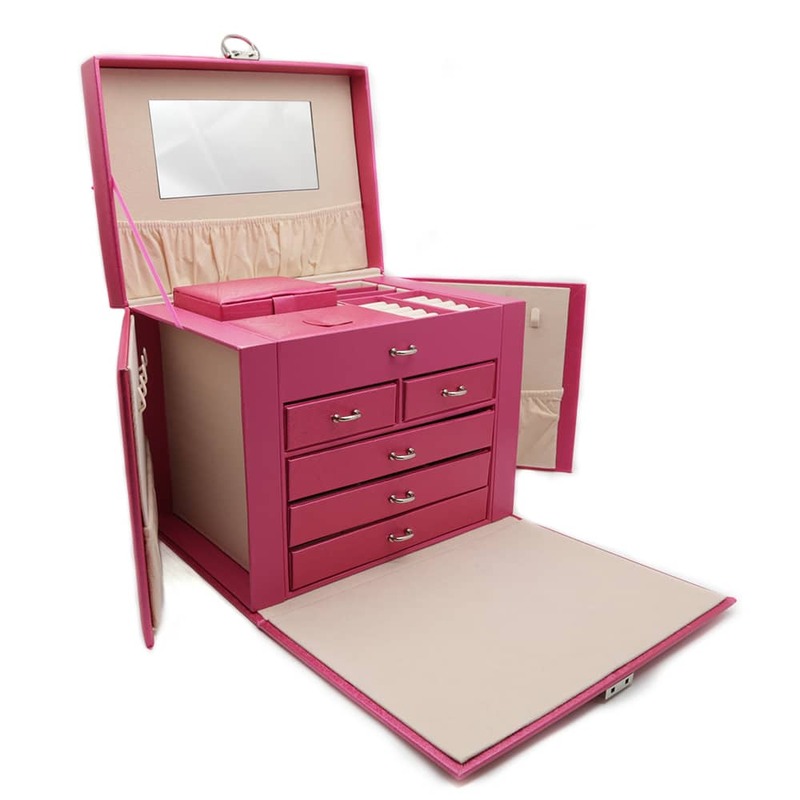 It has a stunning matte textured exterior and a stunning high quality velvet interior. 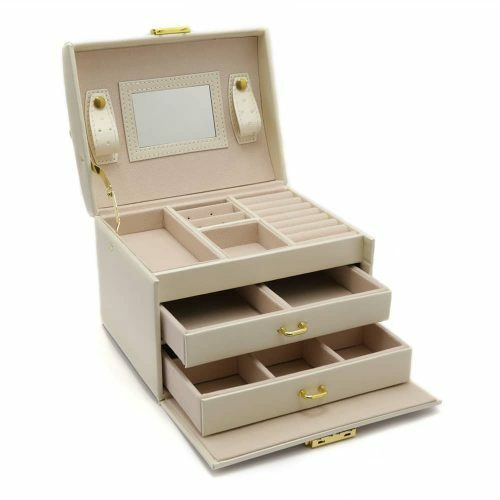 Inside the box the top level has 7 different open compartments for your jewellery and another box with a lid for valuables you want to keep dust free and secure. 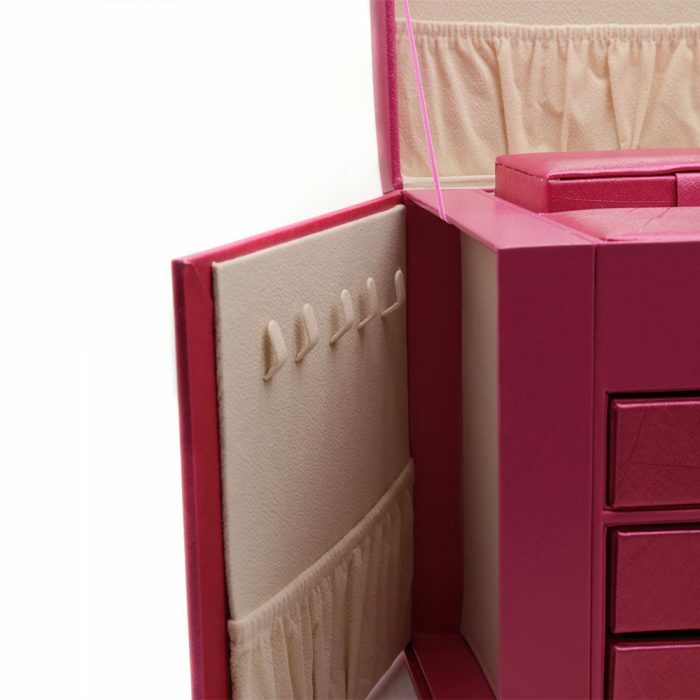 The second layer has a set of draws that pull out and then 3 other draws under that. 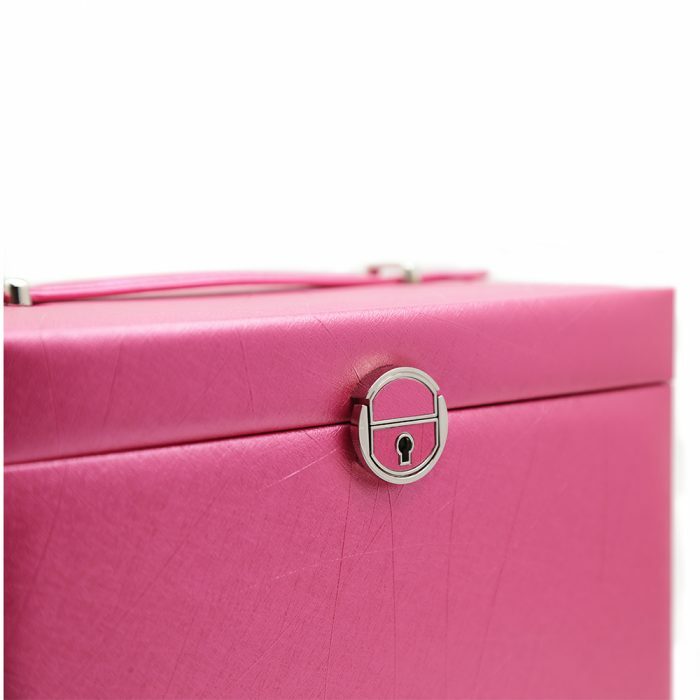 The sides of this box also open to have clips that hold your necklaces so they stay tangle and damage free. 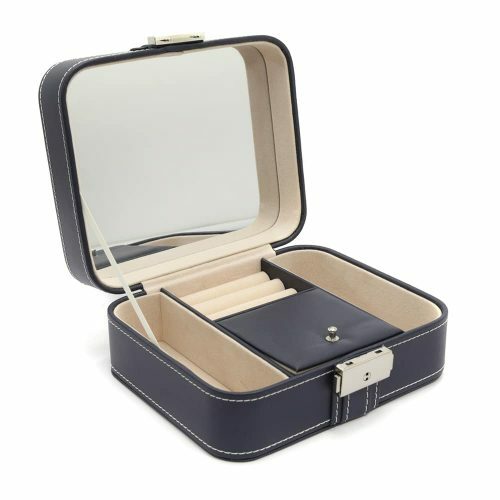 The top of the box has a large mirror and a pouch for extra storage. 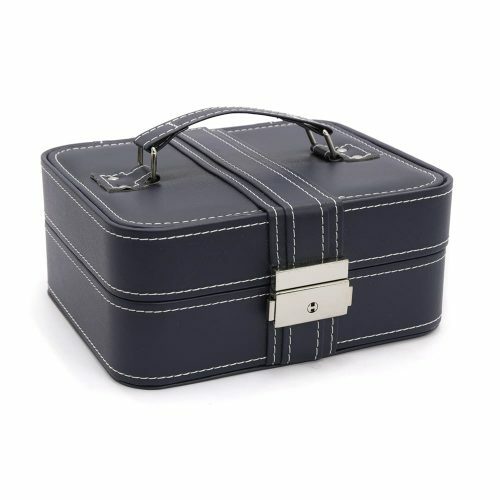 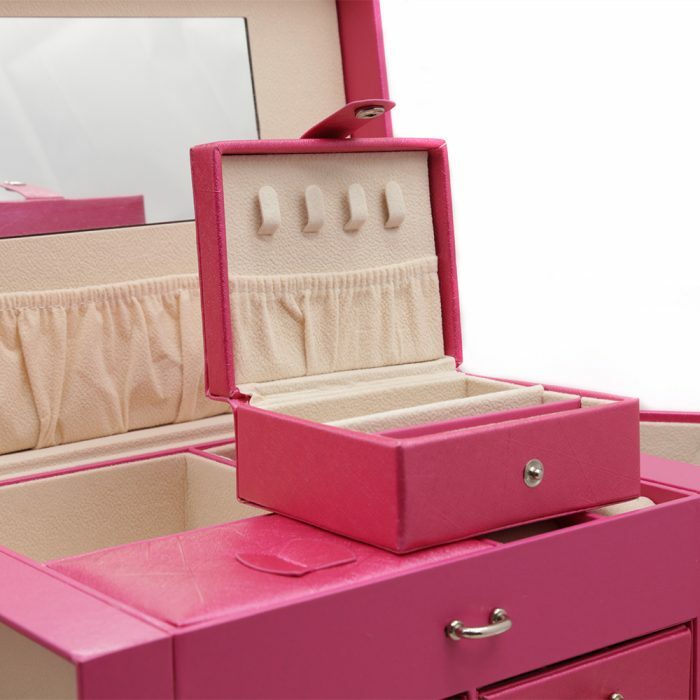 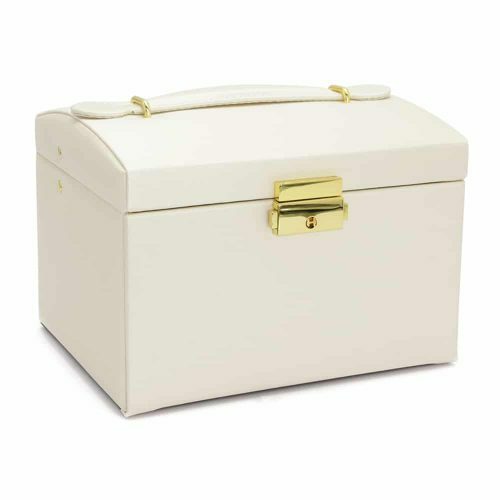 This jewellery box is perfect for separating your bracelets, necklaces, watches and other valuables.